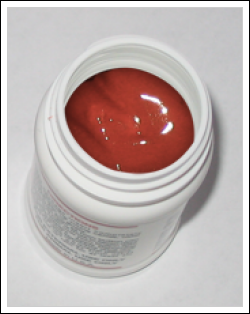 Dehorning paste is caustic, but when used properly is very safe and animal well-being friendly. To prevent the paste from running into the animal’s eyes or being rubbed onto other animals, most producers apply a ring of Udder Balm, petroleum jelly or some other protective barrier around the horn bud prior to application. It’s also a good idea to keep the animal indoors, out of rain and away from other animals for at least six hours. Feed a suckling calf just before paste application and immediately after tape removal. A full, sleepy calf makes your job much easier. Wear protective gloves to apply both the paste and tape. Cut or tear off two pieces of tape – enough to cover the paste application site and a bit beyond – and place them in a criss-cross pattern over each horn bud. Keep the calf out of rain for at least six hours. This rule applies with or without duct tape. Some managers wrap duct tape completely around the calf’s head. This is not optimal as it can interfere with breathing or swallowing, and is difficult and stressful to remove later. Remove tape after six hours. 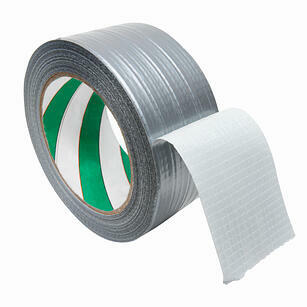 Some producers allow the duct tape to fall off on its owner; however, experience with this is limited. Once the tape is removed, the application sites may still be damp. Allow application sites to dry completely before the calf goes outside or has contact with other animals. Do you use duct tape for caustic paste disbudding? We were happy to provide Dr. Aurora Villarroel, an Extension Veterinarian at Oregon State University, with 250 laminated copies of her paste dehorning poster for her presentation at last week’s conference of the American Association of Bovine Practitioners (AABP) in St. Louis, MO. We were even happier to learn all 250 copies were snatched up by attendees. Dehorning.com readers may remember Dr. Villarroel from her guest blog last April about her experience with dehorning paste, and from her November 2010 article in Hoard’s Dairyman, Dehorn Calves Early. She was one of several experts invited to speak on a range of topics related to cattle health at the AABP’s 44th Annual Conference. Her presentation, part of a Practice Tips series, emphasized the ease, effectiveness and economics of disbudding with caustic paste. 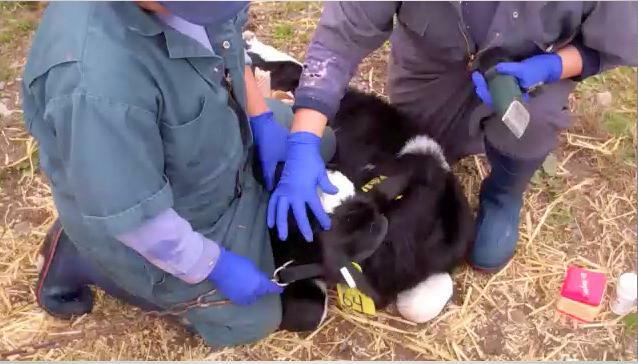 “I showed several videos that demonstrated the minimal reaction of the calves,” said Dr. Villarroel, “and how easy it is to apply the paste.” She also addressed timing (“before two days of age” and “after a bottle”), the amount to use (“the size of a dime”) and follow-up care (“don’t let calves get wet for 24 hours”). Dr. Villarroel noted that producers who have switched to paste report great success with no complications, and only minor head shaking in response to application. When Is The Ideal Time To Apply Dehorning Paste? Caustic paste disbudding can be effectively performed on dairy calves up to the point where the horn buds attach to the skull, around eight weeks of age. Practically speaking, however, the procedure really should be performed much sooner, within a few days of birth, for reasons that benefit both the operation and the animal. At this age, horn buds are still free-floating and quite small. Only a very small amount of dehorning paste applied to this area – about the size of U.S. nickel – is needed to effectively destroy horn-producing tissue. Three- and four-day old calves are docile and easy to handle (especially after a good meal), with no need for squeeze chutes or much restraint beyond a firm grasp. One of our guest bloggers, Jeanne Wormuth, tells us when she applies dehorning paste to sleepy, just-fed dairy calves, many don’t react at all. Unlike older calves, which may need up to two weeks to return to their pre-dehorning weight,1 calves disbudded within a few days of birth usually recover quickly. They’re also less likely to experience infections, blood loss or other complications associated with mechanical dehorning. Are you using caustic paste within the first week of age? Why or why not? 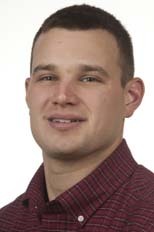 Todd Duffield, DVM, DVSc. Ontario Veterinary College, University of Guelph. Current Data on Dehorning Calves, Current Data on Dehorning Calves, AABP Proceedings, Vol. 41, September 2008. When used according to label directions, in calves eight weeks of age or younger, paste can be just as effective as a hot iron in destroying horn-producing cells (view a video of the correct technique). It’s true that paste won’t work on developed horns in older animals; neither will a hot-iron at this stage. 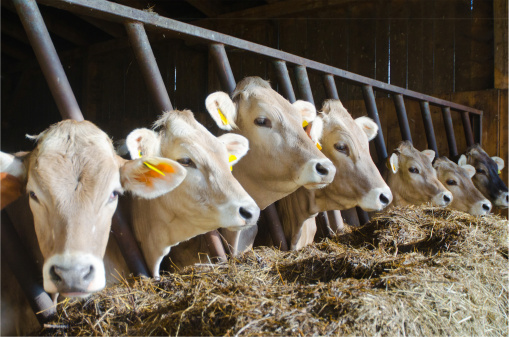 But, if you still have any doubts about the effectiveness of caustic paste, please read these recent guest blogs from the owner of a heifer-raising facility and an extension veterinarian. Eye ablation can occur under rare circumstances when: a) paste is improperly applied, and b) the calf is let out into rain or snow before the paste has dried. That’s why dehorning paste manufacturers recommend applying a protective barrier of Udder Balm or petroleum jelly in a ring around the outside of the application area, and using only a nickel- or quarter-sized amount of paste (depending on the age of the animal). We also recommend keeping treated animals indoors, out of rain, for six hours to allow the paste to dry. These two simple steps will effectively prevent virtually 100 percent of eye injuries in treated calves. This one is true – to a point. Treated calves should remain isolated from all other animals, including their dams, for six hours after treatment. Some cow/calf producers know this and wait until after the calf has nursed before they apply dehorning paste. Again, this kind of incident can easily be prevented simply by following label directions. Compared to herding the animal into a squeeze chute and scooping out the horns with a Tube or Barnes dehorner, or chopping them off with a keystone dehorner, disbudding with caustic paste is indeed a slower, more methodical process. But it’s no slower than holding a hot iron to the calf’s head for several seconds, and significantly less likely to result in blood loss, injury or infection. With paste, there’s no need for a squeeze chute or extreme physical restraint. In fact, if paste is applied to very young calves, bloated and sleepy after a meal, only very light restraint (if any) may be necessary. I totally understand the desire to stick with an effective management practice, especially if you’ve never experienced an injury to calf or crew, or an animal performance issue related to dehorning. But times are changing. As I noted in a previous blog, some veterinarians are already predicting analgesia will be required for dehorning five to 10 years. Meanwhile, consumers are putting increasing pressures on our industry to adopt more humane animal management practices. These pressures will inevitably result in new industry initiatives and audit programs. Now is the time to get ready. Now is the time to start exploring alternative, less invasive means of horn removal. Because, to paraphrase Charles Darwin, it’s not always the strongest who survive, but the ones most responsive to change. What are your concerns about using caustic dehorning paste?